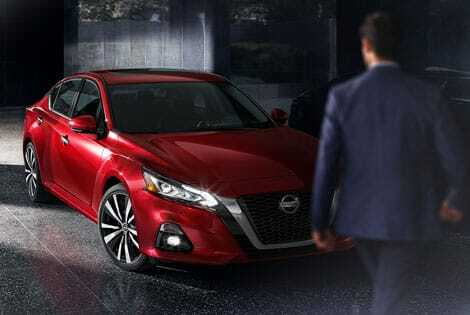 All-New 2019 Altima Available, Secure Yours Now! For the all-new 2019 Altima, Nissan delivers a number of firsts, including the world's first production-ready variable compression turbo engine, along with visionary safety technologies. Then, there's the available Intelligent All-Wheel Drive system in the 2019 Altima, a first in any Nissan sedan. The redesigned 2019 Nissan Altima sedan makes use of Nissan Intelligent Mobility features that enhance your drive with a range of driver-centric technologies. When you are ready to discover the next generation of Nissan's Altima sedan, schedule your Nissan test drive near Winter Park and Oviedo, FL at Sutherlin Nissan of Orlando. 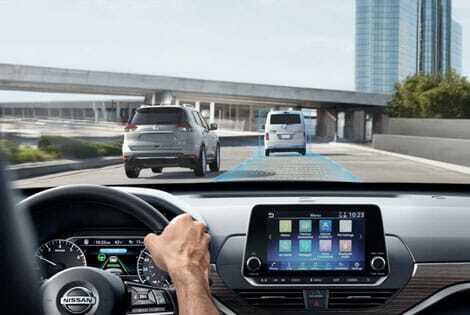 Make the most of your commute through Winter Park and Oviedo in an all-new Nissan Altima that comes with ProPILOT Assist and a suite of advanced safety systems. Along with Intelligent Lane Intervention and Blind Spot Warning, notable safety features include Rear Automatic Braking, Intelligent Cruise Control, and Automatic Emergency Braking. Our friendly Nissan sales team is here to answer all of your questions and tell you more about the standard features, available options, and warranty benefits during your test drive. The 2019 Nissan Altima Edition ONE delivers the world's first production-ready variable compression turbo engine. This advanced powerplant recognizes your inputs and adjusts power as necessary based upon your needs. When you want turbocharged acceleration or fuel-sipping economy, the variable compression engine delivers the immediate power or MPGs you want. Our helpful Nissan finance associates are here to help you select a new lease deal on a 2019 Altima. Apply for Nissan financing at Sutherlin Nissan of Orlando from the comfort of your Orlando, Florida home. The cabin of the new Altima offers driver-focused amenities. 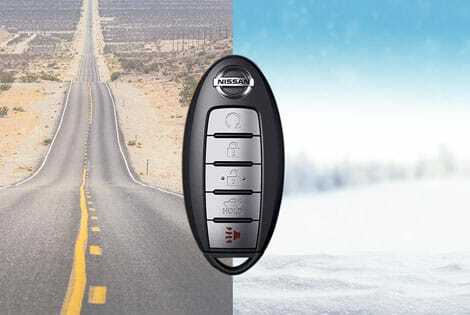 Thanks to the push button ignition, you can keep the Nissan Intelligent Key® in your pocket or purse, press the start button, and hit the road. To keep you and your passengers comfortable on your morning drive is dual-zone automatic temperature control. You and your front passenger can heat or cool your side of the cabin to your liking. Siri® Eyes Free gives you the ability to make a phone call while keeping your eyes on the road. Discover the feel of the heated seats and steering wheel for yourself at our local car dealer. Have you ever wanted to slide into a cooled down car after a trip through a hot parking lot? What about those cold mornings on your way to school or work? Wouldn't it be great to have the car already heated up for you when you walk out to your driveway? Thanks to the Altima’s available Remote Engine Start System with Intelligent Climate Control, now you can. Adjust the airflow for a quick cool-down or defrost the windows and turn on the available heated steering wheel with the press of a button. Nissan's Altima has long been regarded as a sportier option in the mid-size sedan segment, but the reimagined 2019 Altima ratchets up this sedan's style and performance even further. Beyond its available VC-Turbo™ Engine, the new Altima SR VC-Turbo™ model adds a sport-tuned suspension, 19" alloy wheels and paddle shifters with manual shift mode to enhance this sedan's road handling and driver engagement. Get inspired with an unforgettable drive of the 2019 Altima today. It's clear that this redesigned Altima was designed and engineered to impress, whether that be with its performance, technology or refinement. Step inside a 2019 Altima outfitted with leather-appointed seats and interior ambient lighting, then open the power sliding glass moonroof, fire up the 9-speaker Bose® premium audio system and unwind. With an available driver's memory seat and Intelligent Around View® Monitor, you'll enjoy premium convenience amenities at an affordable Nissan price. Visit our new and used Nissan dealership and browse our full selection of new Nissan vehicles for sale to find the right 2019 Altima or other Nissan model for you. Don't miss the redesigned Altima and its interior that offers Amazon Alexa, Android Auto™ and Apple Carplay™ integration. Make the short trip from Winter Park or Oviedo to Sutherlin Nissan of Orlando for a closer look!